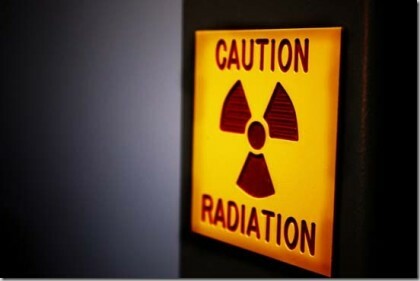 The Atomic Energy Regulation Board (AERB) is on a move to make sure the diagnostic centres conform to radiation safety measures. In a series of surprise inspections conducted in Delhi and Kolkata simultaneously during September 22 and 23, 2015, AERB has sealed 9 diagnostic X-ray equipments located in 5 centres in Delhi and 4 equipment at three centres in Kolkata. The reason for suspension of operation was that they were not complying with the specified regulatory and radiation safety requirements. The action of AERB in these cities in in continuation with its on-going drive initiated against facilities operating diagnostic X-ray equipment in contravention to the provisions of the Atomic Energy ( Radiation Protection) Rules, 2004. AERB issues the requisite Licence/ Registration after the equipment and installation conform to the specified safety requirements. Though the country has a large number of medical diagnostic X-ray facilities, many of them have not been registered with AERB. AERB has initiated a number of steps to improve compliance by the X-ray facilities to the provisions of the rules as well as the specified safety requirements in the recent times. This is important to ensure radiation safety for the persons operating these equipments as well as the patients who make use of them. In order to ease the procedures for filing of applications and obtaining the Registration/ License, AERB has launched a state-of-art e-licensing (e-LORA) on AERB website at www.aerb.gov.in.